The Executive Director of Economic and Organized Crime Office (EOCO), Dr. K.K. Amoah has refuted claims he was a beneficiary of the Menzgold proceeds. 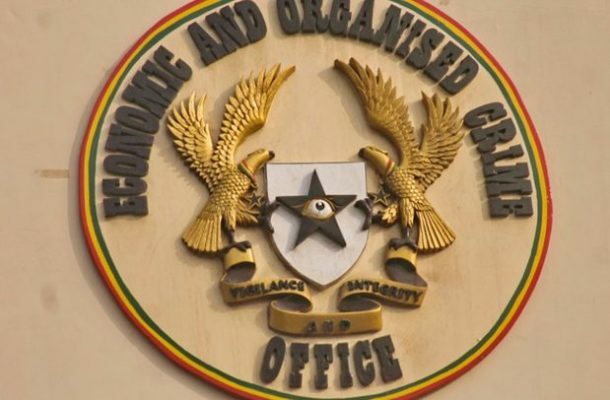 EOCO called on the public to disregard information circulating on social media about some purported comments made by a supposed brother of embattled Menzgold CEO, Nana Appiah Mensah. In a video, the man who introduced himself as the KOD alleged that the Executive Director of EOCO had received luxurious vehicles, mobile phones and an undisclosed amount of money to distort the on-going investigation into Menzgold’s business which has been widely described as a Ponzi-scheme. In a press statement signed by its Head of Public Affairs, Jacqueline Avotri, EOCO described the allegations as malicious and slanderous.